What's up with all the guns? The people in the UK are genuinely baffled by the gun culture of America. And it's really hard to both explain and defend the insanity of the US when it comes to guns. For example, did you know that in the UK the police officers are unarmed? They do have an armed unit, like a SWAT team, that responds to incidents of gun violence, but the cops that you run into in the UK don't carry guns. That's unimaginable in the US. And that's what struck me as I contrasted the UK and the US. Imagination. 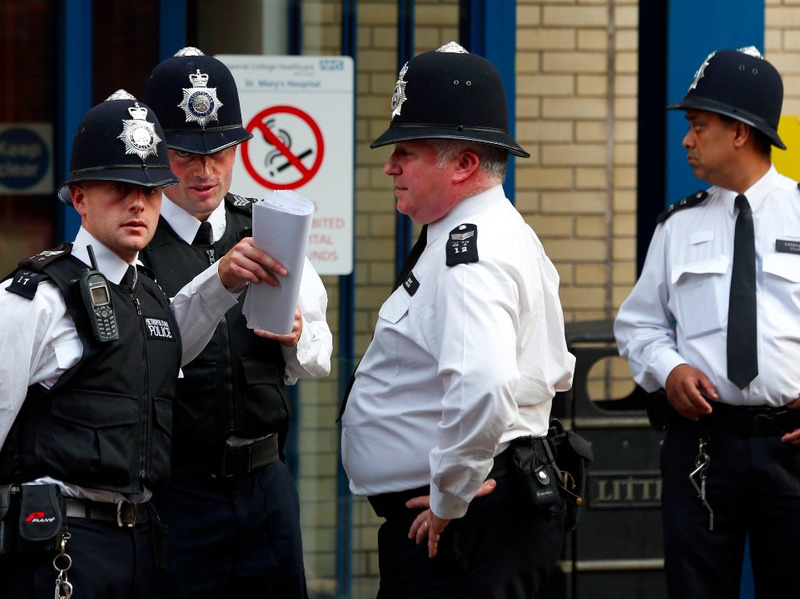 In the UK they have an image of good, experienced policing. It's an image of an unarmed, seasoned police officer talking the gun out of the hands of young criminal. By contrast, the image of hot-headed and inexperienced policing is a young cop getting antsy and trigger happy, tragically shooting an armed criminal. In the imagery of UK law enforcement when you lack policing skill you dumbly resort to a gun. To be sure, as many lamented in these conversations, the UK police are becoming increasingly reliant upon guns. Much of this due to a rise in the use of guns among the criminal class. Still, I'd like to bring us back to the observation about imagination. Specifically, the UK imagination has been shaped by a potent image, an unarmed police officer talking the gun out of the hands of a criminal. Americans, by contrast, can't even imagine this. That's what strikes me, how stunted is the American imagination when it comes to peace. Peaceable options that are easily imagined by others are unimaginable to Americans. And that's why I think we are so violent and addicted to guns in the US. Americans lack the imagination for peace.